Ellen McGrath Smith's first poetry collection ranges over drinking, alcoholism, growing up, men, women, baseball, and yoga. There are poems that speak about loneliness, about love, about yearning for a father's love. The poems read easily, but only because the poet has mastered her craft. Their content is usually serious and often dark. The excellent opening piece ("The Locust: A Foundational Narrative") is the longest and ranges flexibly from conventional poetry to prose poetry, encompassing locusts in three forms (tree, insect, and yoga pose), always rooted in the narrator's experience. Many of the sections deal with the narrator's father, who once pitched semi-pro baseball, and I found them powerful. Other favorites of mine in the collection include "The Annunciation," "February Was Only Half Over," and "Corona: The Apples in Winter." 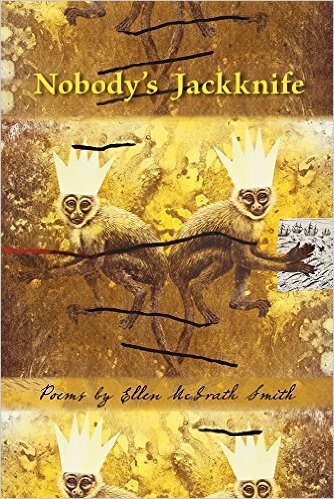 Importantly for me, the poems in this collection have character and often narrative. I truly liked them and felt I would like the poet too should we ever perchance meet.